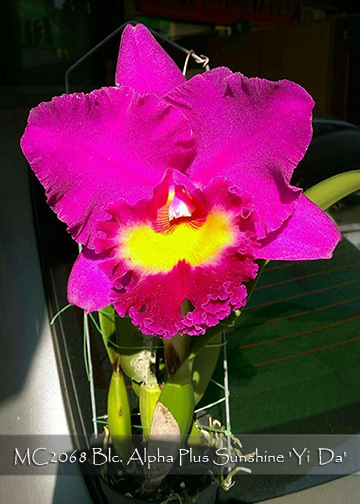 Glowing with brilliant colors, this is one the newest and best hybrids made with Blc. Chia Lin ! Its pod parent has a very compact growth habit for a lavender hybrid and this has been passed on to the clone, ‘Yi Da’. Extremely fragrant flowers with a diamond dust texture make this one of the best of modern lavenders. Highly Recommended !